I have tonight to come up with the game idea. On Saturday morning I’ll focus to code the inner workings and Sunday will be dedicated to artwork and sound effects. If all goes well, this could be my first participation in the 48 hour competition. If progress goes to hell, I have until Monday to finish it and send it respecting the 72 hour deadline. The game we did in the last edition had no sound effects at all, so it’s a challenge to finish this one at 100%, and this is best theme of all to meet that objective. 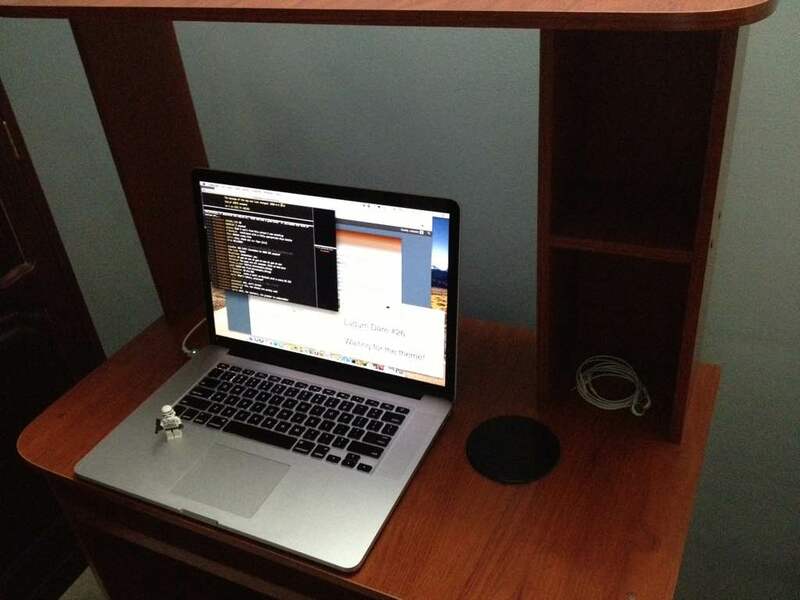 At the beginning of the article, a picture of my workspace for this weekend. A little minimalist, by the way.